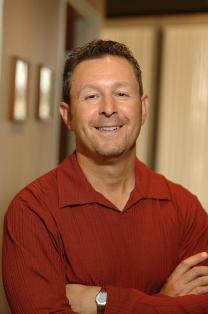 This expert interview with author Nicholas Aretakis will give you tips on meeting someone new. One of the most intimidating experiences of being single is approaching someone you are interested in getting to know better. Tips on meeting someone new gives you advice on what to say, think and act, and how to know whether the person you are talking to is worth asking out on a first date. I was a jet-setting, serial-dating bachelor for over 20 years in my dating life, having become a Silicon Valley millionaire by the age of 30. During those years I spent time with hundreds of guys, largely "type-A" personalities, and formed long-lasting observations about how they treated, and often mistreated, women. 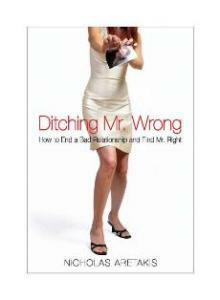 I was motivated to write Ditching Mr. Wrong: How to End a Bad Relationship and Find Mr. Right (Next Stage Press) when I became serious with my wife (whom I married at age 42). In my dating experience, I noticed how single women struggled to meet decent guys, particularly when they entered their 30s and were hoping to meet and marry a future mate to start a family, but seemed to waste precious time with the wrong ones. I spent a year interviewing relationship experts and singles for the book. My research shows it takes five to seven years on average for a woman to meet and marry the right guy. Women in their 30s don't have a lot of time to waste. The big message in Ditching Mr. Wrong is this: Finding Mr. Right doesn't have to be difficult, complicated, or time-consuming. This practical dating guide offers straightforward techniques, tools, and tips single women can apply to identify Mr. Wrong--and then ditch him and move on. LTK: How can someone start a conversation with someone new? Make a funny or smart observation about the situation or surroundings. Ask for an opinion about something - for example, that piece of art that grabbed your attention, or the music that's playing. If you're at a party, ask them who they know, and try to get them to talk about themselves. If the person is wearing something fashionable, compliment him or her on the outfit or shoes. Try to find something you like in common. If the conversation gets going, be ready with three unique reasons why the person wants to get to know you better. For example, "I am a legendary Thai cook. I know the most beautiful, undiscovered spots in this city. I want you to see my champion horses." LTK: How can someone take the pressure off meeting someone new? In terms of this situation, the two of you are on the exact same footing. You are both meeting each other for the first time, so you're equal and have the same amount of power. If you are authentic and relaxed, the other person will more likely be relaxed as well. Watch the person's eyes. If you see his or her eyes wandering while you're trying to talk, that's a body language cue that you shouldn't waste your time. Move on and talk to someone else. People respond when you are humble or even mildly self-deprecating. Try to get the person to laugh, even if you make gentle fun of yourself: "I am really having a blast. My friend invited me and ditched me at the front door." LTK: What are some things that someone can look for that signal the person may be interested in going on a first date? The person asks you questions about "you." He or she makes a lot of eye contact, even if there are distractions like phone calls, text messages or other people interrupting. Gentle and appropriate touching sends a strong signal someone is attracted to you. You receive compliments you on your attire. The person is eager to learn more about what you like. LTK: What are some good ways to ask someone on a date? I like a direct approach, but not too aggressive such as, "I've had a great time speaking with you, would you like to catch dinner or a drink sometime? Do you mind giving me your number?" An example of being too aggressive is, "Do you want to have breakfast with me tomorrow?" Or if you know of something fun happening, ask the person if he or she wants to meet up with some friends on a specific day and time (a little less control, but less imposing if you aren't fully confident there is a romantic attachment either way). LTK: What are some things that singles should keep in mind about themselves when meeting someone new? They should ensure that they have the proper expectations--are they genuinely interested in the other person romantically or socially? Are they unsure? This way, they won't misrepresent these interests, and won't set themselves up for disappointment. Dating chemistry is usually mutual. If you are really intrigued and having a good time, your date is probably having a good time too. There's no reason to be in a hurry. If this person likes you, there's plenty of opportunity to tell more about yourself later. If you relax and just try to be in the moment--not worrying about the future--you'll have a better time and be able to see what's really happening, as opposed what you want to happen. LTK: What are some of the most common mistakes singles make when getting to know someone new? NA: They make a decision too quickly, or get involved with someone emotionally and physically, before they know enough about this person. Then they have regrets or embarrassment, or are stuck getting out of a bad relationship. I suggest that individuals treat dating like a job interview. What minimum things would an employer task you with if you were hiring for an important position? You would check the candidate's résumé, making sure it aligns with experience, education, or training for the position. You would ask the proper questions to see if the individual has the potential to do the job well. In addition, you would check references, and not just the ones that they provide, but people who have worked with the person. You should conduct this same type of research for the people you date. This could be someone you end up sleeping with, dating regularly, who has access to your close personal or financial information, or could end up marrying or having a child with. Do the background work! LTK: How can someone make a good first impression without giving false impressions? NA: You don't need to volunteer all of your vices or problems, but there are certain things that shouldn't be avoided. Honesty is the right way to start a relationship, and you shouldn't omit certain things. For example, the other person should know if you are married and going through a divorce; you have children; you live with your parents; you are a smoker; you don't have a job; or you have strong religious beliefs that shape your lifestyle and major life decisions. If you have more private issues, like seeing a psychiatrist, that may be left for later, as you get on more "stable ground" with someone new. The rule of thumb is this: If your issue is something you would want to know before getting closer to another person, then you need to share it at the appropriate time, before the other person makes an emotional attachment with you, which may coincide with the time you commence an intimate relationship. LoveToKnow Dating would like to thank Nicholas Aretakis for his tips on meeting someone new.